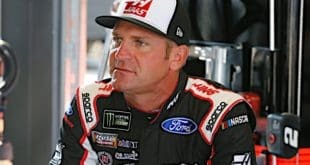 That’s the case thus far in the 2018 NASCAR XFINITY Series season as the field begins its two-week break following last weekend’s race at Dover International Speedway. 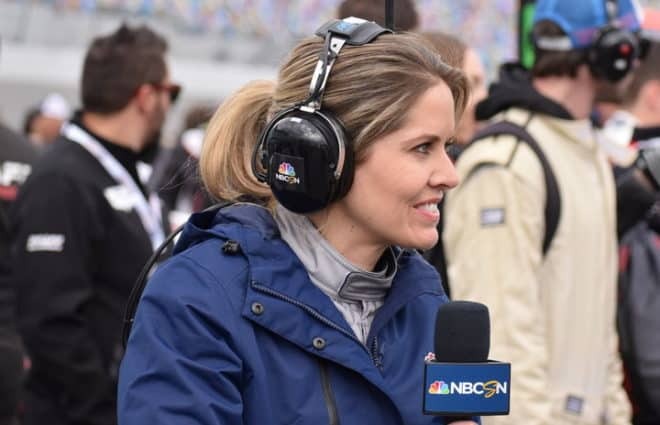 Each race in 2018 has seen a different winner in Victory Lane, a combination of series regulars and Monster Energy NASCAR Cup Series ringers sharing the spotlight since February. 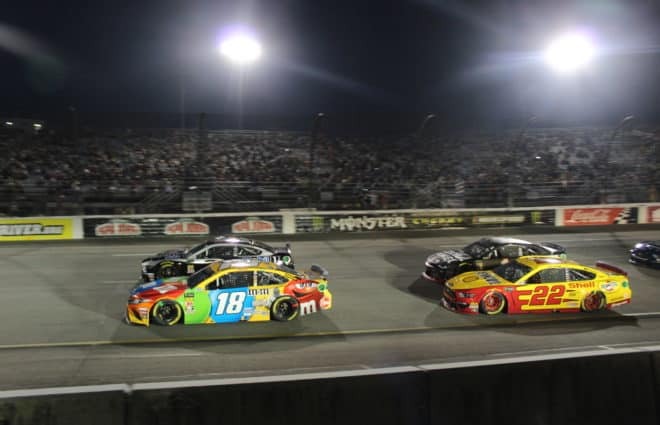 Comparatively, in 2017 it took seven races to have a multi-time winner in the XFINITY Series, thanks to Erik Jones‘ two-race winning streak at Texas Motor Speedway and Bristol Motor Speedway. 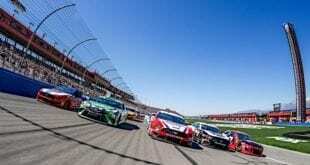 Kyle Larson also added a second win by race 10, giving the series eight different winners in its first 10 races. And in the Cup Series in 2018, Kevin Harvick and Kyle Busch have combined to score seven wins in the first 11 races, with six different winners overall entering Kansas Speedway this weekend. All of which is to say that not only is this something that certainly didn’t happen last year in the series — it’s also the stark opposite of what’s occurring on the Cup level. In fact, getting to a streak of 10 straight races with different winners is downright uncanny in modern XFINITY Series competition. Remember last year’s six-race mark before Jones pulled the repeat? 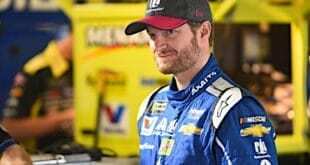 The last time that number had been equaled or bested was 2004, when the first seven races featured different winners, a streak broken by eventual champion Martin Truex Jr. when he won his second race of the season in race eight at Talladega Superspeedway. What we’re looking at is more of a return to the earlier days of the series — try the 1980s. Between 1985 and 1989, the first seven races of the year had different winners in every one of them all but one year, 1986. 2018’s 10-race run equals 1987, when the first 10 races saw a new driver in Victory Lane until Mark Martin scored his second triumph. And the series’ current best mark — 13 — came in 1988. That’s right: 13 races, 13 different faces crossing the finish line first. Tommy Houston, who was that 13th winner, went back-to-back to break the cycle. Call it a testament to two things. First, there’s the series’ further crackdown on Cup interlopers, meaning teams such as Team Penske’s No. 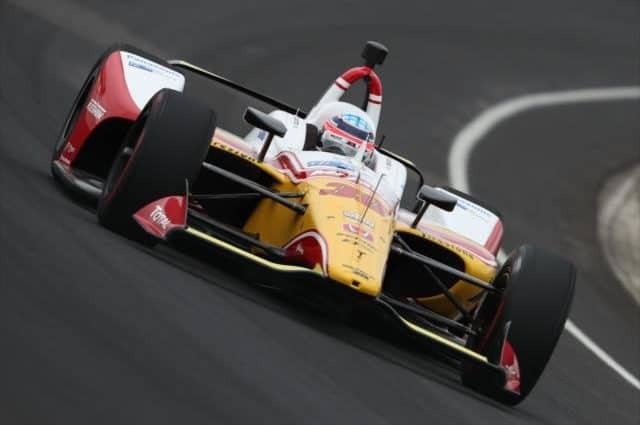 22 and Chip Ganassi Racing’s No. 42 have to fill the seat with non-veterans more often than they ever have. But then again, four of the first five races of this season were won by Cup regulars, with Tyler Reddick‘s Daytona International Speedway triumph the only outlier. 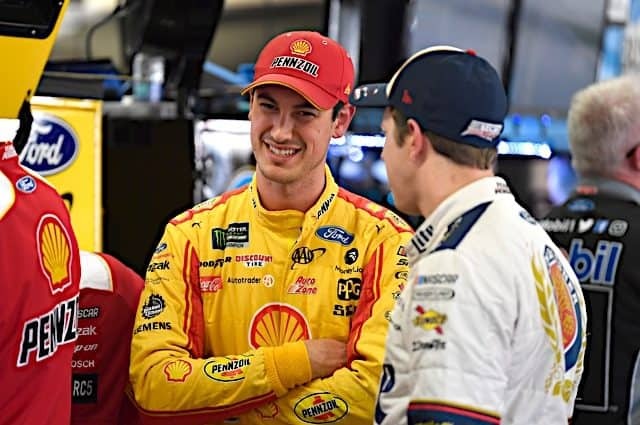 Harvick, Larson, Brad Keselowski and Joey Logano proceeded to take the checkered flag the four races after the series premiere; you’ll probably recall the cries of foul that came afterward, critics lambasting the series’ continued lack of identity in the face of its more marketable and popular stars one series up. So really, it’s more a matter of something that takes the first factor and doubles down on it that’s paved the way to different winners: the Dash 4 Cash. The last four races have been run under this banner, and the promotion is important here because it cut out Cup regulars completely — someone competing for points in the upper series could not run the races at Bristol, Richmond Raceway, Talladega and Dover, regardless of their veteran (or non-veteran) status. Not only did that score Ryan Preece a victory in one of his rare starts during his part-time campaign in Joe Gibbs Racing’s No. 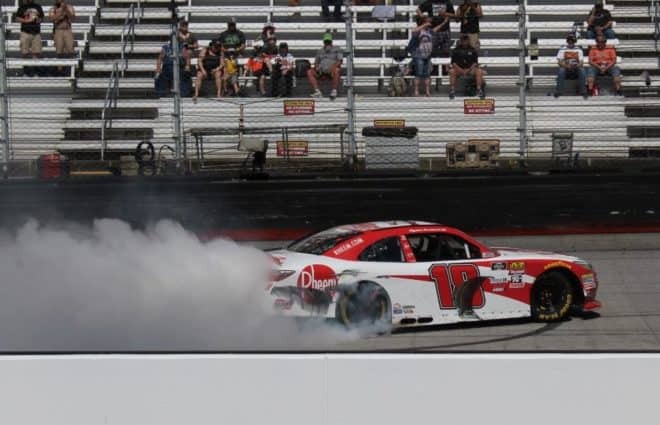 18 — 2018 series regulars Christopher Bell, Spencer Gallagher (well, at the time) and Justin Allgaier were also able to pull their cars into Victory Lane for the first time all year, joining Reddick as winners this year. Still, a look at the 1988 winners list — 20 years ago — shows it strikingly similar to that of this year’s in terms of genetic makeup. That year, you also had Cup regulars like Bobby Allison, Martin, Geoff Bodine and Dale Earnhardt coming down on their off-days to pace the field. Mike Alexander, Jimmy Hensley, Tommy Ellis and Houston, meanwhile, were among those running the full series schedule who emerged victorious. That year didn’t necessarily end on a note of variety; Harry Gant won five of the final seven races. And that’s probably going to be the case, too, in 2018 — heck, Charlotte Motor Speedway, the next track on the schedule in a little less than two weeks, reopens the gate for Cup drivers, and Kyle Busch and Jamie McMurray are among the drivers already known to be entering the event (that’s not even including whomever drives Penske’s No. 22, if it’s not Austin Cindric). At the same time, 10-for-10 is no easy feat, and it’s likely to do wonders for the end-of-year total of overall winners the series has, not to mention the road toward the playoffs. Heck, two of the top five in points — Elliott Sadler and Daniel Hemric — haven’t even won in 2018. And the Cup driver restrictions may be over on a Dash 4 Cash level, but they’ll be back. Who knows, maybe this series has somewhat of an identity after all. So your perfect season would be 33 races – 33 different winners ? Think about it before you answer.